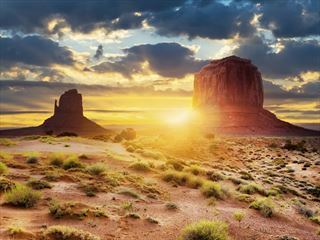 Experience the Old West with this eight-day escorted tour through some of the USAs most exciting and inspiring destinations. 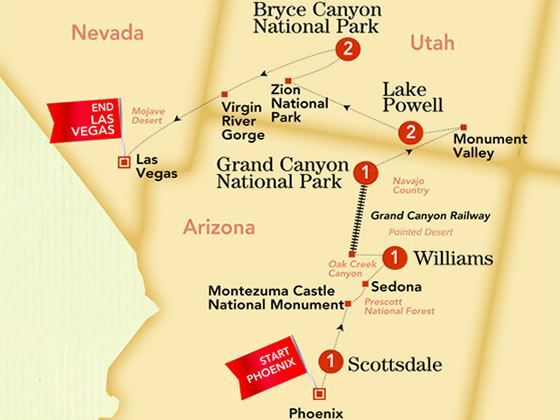 From unspoiled landscapes to extraordinary rail journeys, breath-taking national parks and historic landmarks, this journey is an exciting glimpse into life in the Old West. You’ll be treated to fun dining experiences, talks from local experts and exciting drives through the landscape that offer up incredible vistas – a wonderful and memorable experience that showcases the unique sights found here. Check-in at your hotel and spend the afternoon exploring your surroundings. At 6pm, meet your tour guide and fellow travellers for a welcome reception at the hotel. Drive through the Sonoran Desert to Montezuma Castle National Monument which is one of the best preserved cliff dwellings in North America. Take a moment to imagine life for the Sinagua Indians’ here before heading to Sedona in Red Rock Country. Then you can choose to join in a jeep ride to the red rocks. 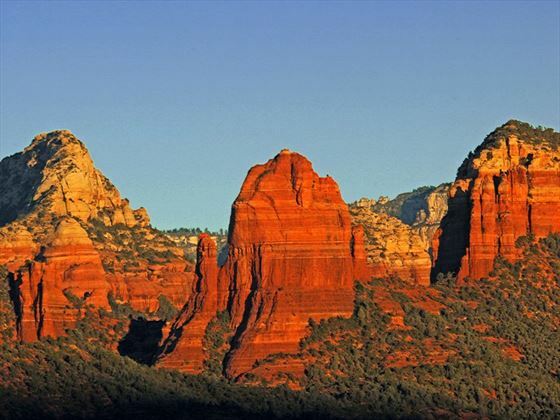 After a picturesque drive through Oak Creek Canyon you will arrive at Williams, a historic railroad town located on Route 66 which serves as the gateway to the Grand Canyon. In the evening, you’ll be treated to a fun-filled dinner where there will be a range of Arizona wines and craft beers, as well as a pizza bar and games for kids. 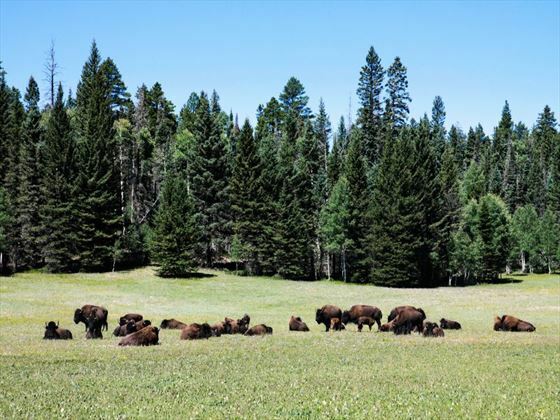 Climb the historic Grand Canyon Railway that sees you pass through the Majestic Ponderosa Pines, the high desert and the Kaibab National Forest whilst learning about the tales and folklore of this area. Keep a lookout for the amazing wildlife found here, from elk and mule deer to pronghorn antelope. 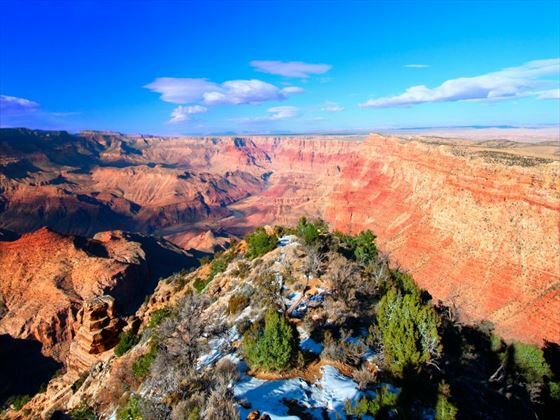 Meet with a local specialist at the Grand Canyon who will give a talk about the geology and history of this iconic park – one of the Seven Natural Wonders of the World that was 1.7 billion years in the making. This morning will be spent admiring the stunning natural beauty of the Grand Canyon before driving along Desert View Drive to enter Navajo Country. Visit the Cameron Trading Post and seek out Native American art as well as learning why Monument Valley is such a popular filming location for directors. Wrap up this exciting day with a stay at a lakeside resort overlooking Lake Powell, dining on a delicious poolside pizza dinner. 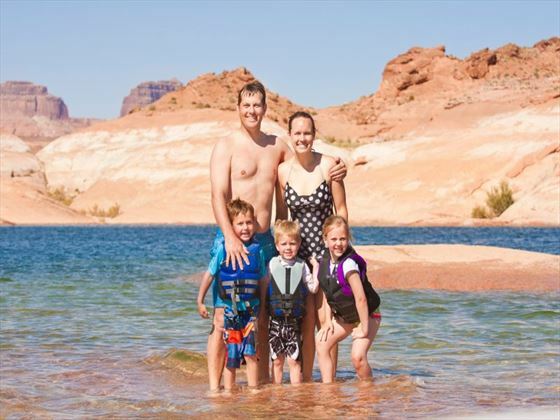 Today is a free day to enjoy the lake and its many activities, with optional activities including a float ride down the Colorado River, a cruise on Lake Powell to Antelope Canyon overlooking the Glen Canyon Dam or watersport activities on the lake itself. In the afternoon, enjoy an interesting slide show presentation about the geological features and survival strategies of the desert wildlife of the Canyonlands. Head to Zion National Park this morning and be overwhelmed by the towering cliffs and canyon walls of Zion Canyon. Take a ride on the park shuttle and see the Virgin River cut through the sandstone. If you like hiking, there’s a scenic and gently-paced trek to the Emerald Pools that offers up some beautiful vistas and is a great experience. Leaving Zion, you’ll make your way along the Mount Carmel Highway – be sure to keep watch for the Great Arch of Zion and the Checkerboard Mesa. Arrive in Bryce Canyon for the final two nights of your trip. Begin today with a tour of the rim of a great amphitheatre at Bryce Canyon National Park which offers up sensational vistas of the sandstone park. In the afternoon, you’re free to explore at your own pace before heading back to the hotel for a farewell dinner with your group. Travel along the Virgin River Gorge to make your way into southern Nevada and on to Las Vegas where your tour comes to an end. Transfer to the airport for your departing flight home. Transfers to your UK airport are available at an additional cost. Gratuities may be pre-paid at the time of booking. Daily direct flights available from Heathrow with British Airways and Indirect flights with United Airlines. Regional connecting flights also available. Early Booking Offer Book and pay for your 2019 tour by 30 Apr '19 and save up to £160pp Discounts included in advertised prices. A comfortable modern hotel located in the north of Phoenix, with both indoor and outdoor swimming pool, plus a gym a bar & restaurant. Nestled into the slopes of the Phoenix North Mountains, this resort property is located on 27 acres of land, surrounded by the Sonoran Desert. 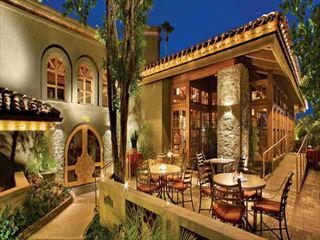 Some of the near by attractions are Biltmore Fashion Park, Chase Field, Heard Museum and University of Phoenix Stadium.